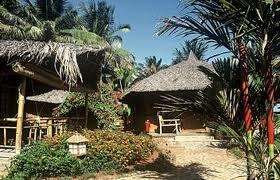 Bambo o Village Resort — a modern paradise city resort of Phan Thiet, Viet Nam. From here, visitors can easily reach tourist attractions such as the fishing village, Sand Hill, Cham tower, Hon Rom beach, etc. We booked a very good rate through www.evivatour.com, even better than on www.booking.com and my family had a wonderful vacation this year. 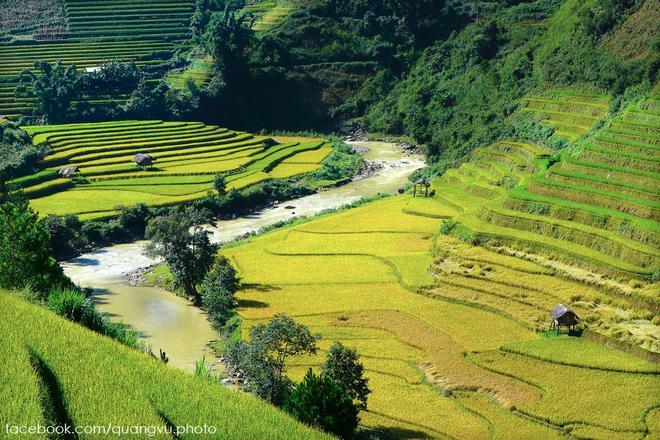 A picture of Vietnam peaceful village, with birds nesting behind the bamboo village and chirping every summer noon, has created a new conception architecture and construction, so is the Bamboo Village Resort. 143 guest rooms namely Suite, Bungalow, Deluxe, and Superior were built with familiar materials such as grass, wood flooring, bamboo, shells, coconut, etc. Along the garden, the palm-desert primary and sandy shores were modernly designed and fully equipped. The conference room is equipped with the capacity of 40-100 seats, the sound system, lighting and air conditioning which is suitable for conferences, seminars or session trainings. Straw Restaurant and Southern Flavor Restaurant which are setup by the board bricks, soil-mixed straw, bamboo and wood make the rustic cuisine space here a zone of peace in the village garden. It is really a perfect destination for those who love food, where visitors can enjoy delicious dishes. More than that, visitors would have the opportunity to learn cooking by chefs to discover the culinary culture guide of sophistication and elegance from Hue. United Bamboo Village Resort creates a perfect moment while you are enjoying the services here, especially with a library of books donated by numerous visitors. And also the relaxation with Water Lily Spa – Yoga studio which is equipped with tools… All your troubles and tireness will completely disappear in this wonderful world.